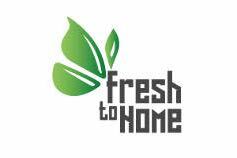 FreshToHome Home - Buy Fresh Fish, Chicken and Mutton Online. Earliest available delivery slot in most areas is Monday, 22nd April. Most areas we have express delivery. Tender halal cuts of chicken, straight from the farm. No antibiotics, growth promoting hormones or any of the bad stuff. Naturally reared for tastier meat. Cleaned and cut in a state-of-the-art HACCP & Halal certified processing centre. Chicken in all its glory, but without bones and juicy to the core. Hassle free - cook directly in the pan after some cursory cleaning. Simply the best Kakori Kebabs that you will ever eat. The formula is uniquely prepared by the Quraishi family in Delhi and has been passed on from generations. Defrost in Microwave for 5-8 minutes or until hot and eat immediately. You can also Pan/Air Fry or Grill. Never cook directly in Microwave only Defrost. Made fresh using traditional stone-grinding methods and without artificial chemical or preservatives of any kind. Cooking instruction: Unpack the content & warm the chicken inside a microwave or an oven. Slice and serve along with a salad or as a filling of a sandwich. Braised red cabbage & apple could be the filling for the sandwich or could be an addition to the salad. Chicken, Duck, Quail and more. Halal cut. Premium Meats. Tender and low fat. Halal cut. Freshly marinated Cutlets and much more.